Why See Oak Ridge Boys? 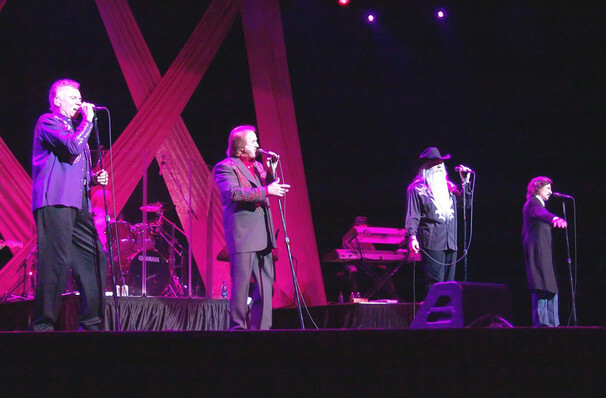 Going strong since 1940, this gospel and country quartet (composed of Joe Bonsall, Duane Allen, William Lee Golden, Richard Sterban) were inducted into the Country Music Hall of Fame in 2015. Celebrated for songs such as 'Elvira', 'Bobbie Sue', 'Touch a Hand, and Make a Friend', 'Gonna Take a Lot of River' and 'American Made', the group continually tour and perform, even collaborating with newer artists, as they did in 2015 with a new recording of Elvira with 2013 Sing-Off winners, acapella group Home Free. Catch this legendary quartet wit the killer harmonies as they perform classics old and new when they hit in , , . About Galveston Theater: We are an independent show guide not a venue or show. We sell primary, discount and resale tickets and prices may be above or below face value. Sound good to you? 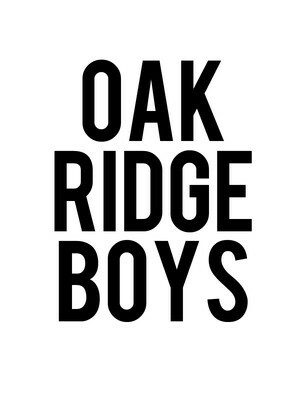 Share this page on social media and let your friends know about Oak Ridge Boys at Grand 1894 Opera House. Please note: The term Grand 1894 Opera House and/or Oak Ridge Boys as well as all associated graphics, logos, and/or other trademarks, tradenames or copyrights are the property of the Grand 1894 Opera House and/or Oak Ridge Boys and are used herein for factual descriptive purposes only. We are in no way associated with or authorized by the Grand 1894 Opera House and/or Oak Ridge Boys and neither that entity nor any of its affiliates have licensed or endorsed us to sell tickets, goods and or services in conjunction with their events.